The Romantic era had its roots in the late 18th century and spilled over into the 20th century. Romanticism was a movement with many facets; it was the antithesis of the artistic forms and structures of the Classical age. It emphasized individual expression, emotion, and virtuosity, as well as freedom from constraining forms. It took inspiration from nature, as writers, artists, and musicians sought to express what they saw around them. And it emphasized the artistic and cultural differences among nations, with artists turning towards their own heritage to share folk tales, images, and music. Instead of being supported by the aristocracy, music was now supported by the middle class. Secular music of this era reflects the composers’ fascination with love and, especially for German composers, a reverence for nature, often intertwining the themes of love and nature. Moods swing through playful nonsense, tenderness, boldness, deep melancholy, and intense personal feelings. Sacred music of this era reflects the situations and preferences of each composer; this would have meant divine service and the cathedral for some; for others, it would have meant festivals or concert halls, or simply a personal dialogue with God. The texts are prayers full of deep feeling, to be sung in the home as well as by choral societies. Reflecting the ability of the natural world to inspire reverence, nature is often brought into the texts. Felix Mendelssohn (1809–1847) was a German composer, pianist, organist, and conductor of the early Romantic period. After a long period of relative denigration due to changing musical tastes and antisemitism in the late 19th and early 20th centuries, his creative originality was re-evaluated. He is now among the most popular composers of the Romantic era. Felix was recognized early as a musical prodigy, but his parents were cautious and did not seek to capitalize on his talent. He enjoyed early success in Germany, and he revived interest in the music of Johann Sebastian Bach, notably with his performance of the St. Matthew Passion in 1829. He was well received in his travels throughout Europe as a composer, conductor, and soloist; his ten visits to Britain—during which many of his major works were premiered—form an important part of his adult career. His essentially conservative musical tastes set him apart from more adventurous musical contemporaries. The Leipzig Conservatory, which he founded, became a bastion of this anti-radical outlook. Johannes Brahms (1833–1897) was a German composer and pianist of the Romantic period. He is sometimes grouped with Johann Sebastian Bach and Ludwig van Beethoven as one of the "Three Bs" of music, a comment originally made by the nineteenth-century conductor Hans von Bülow. An uncompromising perfectionist, Brahms destroyed some of his works and left others unpublished. Brahms has been considered, by his contemporaries and by later writers, as both a traditionalist and an innovator. His music is firmly rooted in the structures and compositional techniques of the Classical masters; he also admired the music of earlier composers, especially Schütz and Bach. His contributions and craftsmanship have been admired by figures as diverse as Arnold Schoenberg and Edward Elgar. The diligent, highly constructed nature of Brahms's works was a starting point and an inspiration for a generation of composers. Embedded within his meticulous structures, however, are deeply romantic motifs. Josef Gabriel Rheinberger (1839–1901), born in Liechtenstein and resident for most of his life in Germany, was an organist and composer. The stylistic influences on Rheinberger ranged from contemporaries such as Brahms to composers from earlier times, such as Mendelssohn, Schumann, Schubert, and, above all, Bach. He was a prolific composer and is somewhat underrated. His religious works include twelve Masses, a Requiem, and a Stabat Mater. His other works include operas, symphonies, chamber music, and choral works. Josef Anton Bruckner (1824–1896) was an Austrian composer and organist best known for his symphonies, masses, motets, and Te Deum. Bruckner's compositions helped to define contemporary musical radicalism, owing to their dissonances, unprepared modulations, and roving harmonies. Biographers generally characterize Bruckner as a "simple" provincial man, and many biographers have complained that there is huge discrepancy between Bruckner's life and his work. For example, Karl Grebe said, "His life doesn't tell anything about his work, and his work doesn't tell anything about his life, that's the uncomfortable fact any biography must start from.” Anecdotes abound as to Bruckner's dogged pursuit of his chosen craft and his humble acceptance of the fame that eventually came his way. Bruckner was a renowned organist in his day; though he wrote no major works for the organ, his improvisation sessions sometimes yielded ideas for his symphonies, and echoes of that sonority can also be heard in his choral works. Clara Schumann (née Clara Josephine Wieck; 1819–1896) was a German musician and composer, considered one of the most distinguished pianists of the Romantic era. Her husband was the composer Robert Schumann. Together they encouraged Johannes Brahms in his compositions. Today her compositions are increasingly performed and recorded. Gustav Uwe Jenner (1865–1920) was a German composer, conductor, and musical scholar. He was the only formal composition pupil of Johannes Brahms. Though Brahms was a merciless critic of Jenner's compositional attempts, he took great care over his welfare. He had him appointed secretary of the Vienna Tonkünstlerverein and in 1895 arranged for him to become musical director and conductor at the University of Marburg, where he spent the rest of his career despite invitations to assume more prestigious posts in Breslau and Berlin. Though his music is highly conservative for his time and shows the strong influence of Brahms, he was capable of individual expression and his works are always finely wrought. Jenner published two volumes of recollections of Brahms which, viewing Brahms from a unique vantage point, are a valuable biographical source. We present three selections from his setting of translations of Tuscan poems for women’s voices. Franz Peter Schubert (1797–1828) was an Austrian composer. Schubert was extremely prolific during his short lifetime. Appreciation of Schubert's music while he was alive was limited to a relatively small circle of admirers in Vienna, but interest in his work increased significantly in the decades following his death. Felix Mendelssohn, Robert Schumann, Franz Liszt, Johannes Brahms, and other 19th-century composers discovered and championed his works. Today, Schubert is ranked among the greatest composers of the late Classical and early Romantic eras and is one of the most frequently performed composers of the early 19th century. Robert Schumann (1810–1856) was a German composer and influential music critic. He is widely regarded as one of the greatest composers of the Romantic era. His writings about music appeared mostly in the Neue Zeitschrift für Musik (New Journal for Music), a Leipzig-based publication that he jointly founded. In 1840, Schumann married Friedrich Wieck's daughter Clara, against the wishes of her father, following a long and acrimonious legal battle, which found in favor of Clara and Robert. Clara also composed music and had a considerable concert career as a pianist, the earnings from which, before her marriage, formed a substantial part of her father's fortune. 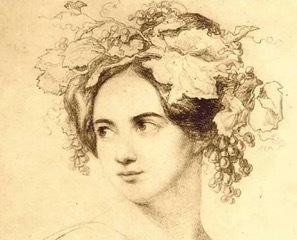 Fanny Mendelssohn Hensel (1805–1847) was a German pianist and composer. A number of her songs were originally published under the name of her brother, Felix Mendelssohn, in his opus 8 and 9 collections. Moritz Hauptmann (1792–1868) was a German music theorist, teacher, and composer. He was initially employed as an architect before finding success as a musician. In 1842, Hauptmann became cantor at St. Thomas Church, Leipzig (a post made famous by Johann Sebastian Bach), as well as professor of music theory at the newly founded Leipzig Conservatory at the invitation of Felix Mendelssohn. In this capacity, his unique gift as a teacher developed, readily acknowledged by his enthusiastic and often distinguished pupils.